Based out of Toronto and Montreal, SkyRocket Entertainment is a full-service Promotion, Tour booking and Production Agency. We work with select Artists from around the world who are looking to make an impression. Our goal is to provide a one of a kind experience for Artists and Audiences alike. Contact us for events and productions. The scrolling Roster (at top) lists Artists that we currently represent. Click on an Artists' name to view their full press kit along with booking availability, tour timeline and region. Contact the listed booking agent on each artist to arrange for shows, appearances, interviews and events. Vista Cruiser - I Dig, You Dig? 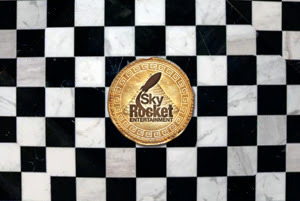 SkyRocket Entertainment Agency || Bringing you the worlds best music.